The Ford Explorer was last updated in 2016. 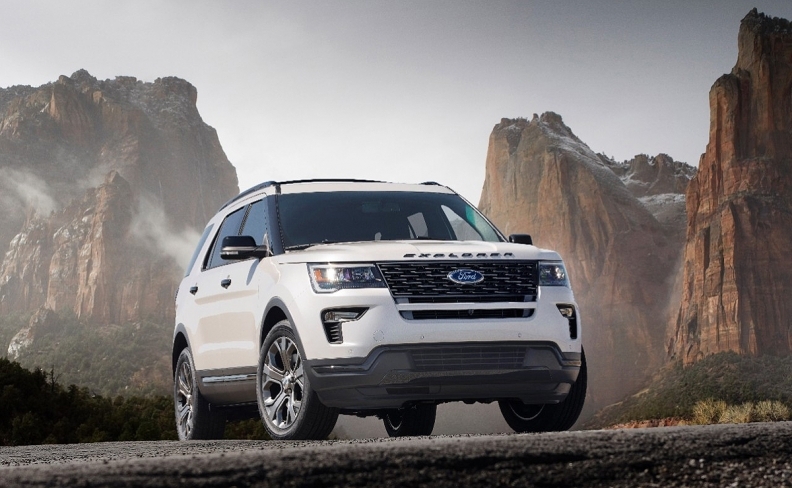 NEW YORK -- Ford Motor Co. is betting Canadians' love affair with utility vehicles will continue to grow, and on Monday announced tweaks to its 2018 Explorer to cash in on that burgeoning demand. The automaker is adding a new grille, new fog lamps and new technology, including Wi-Fi, to the SUV. There also is a host of driver-assist features and the ability to connect to FordPass -- the automaker’s mobility operating platform for smartphones. Explorer was last updated in 2016. A Ford of Canada spokeswoman said the updated Explorer sold in the United States will be the same as the model sold in Canada. While Canadian sales of the popular vehicle were down slightly in 2016, they are are off to a blistering start in 2017. Ford sold 15,275 Explorers in Canada in 2016, down 2.2 per cent from the year before. But sales are off to a strong start in 2017, up 40.4 per cent during the first three months over the same time last year. So far, Ford has 3,568 units. In the United States, it expects SUVs will account for more than 45 per cent of the non-premium U.S. retail industry over the next 5-7 years, up from 26 per cent in 2006 and 40 per cent in 2016. Depending on circumstances, executives said the 50 per cent mark there is achievable. “It shows you how important the vehicle is and how important it is to stay current with it,” Mark LaNeve, Ford’s vice president of U.S. marketing, sales and service, said in a statement. The automaker didn't make a forecast for Canada but overall, consumers are fleeing from compact cars and sedans and choosing SUVs of all sizes. "As we see customers migrate from cars to SUVs, we’ll build on it," Ford of Canada CEO Mark Buzzell told Automotive News Canada back in February. Ford already has the best-selling lineup of utility vehicles in Canada. The freshened 2018 Explorer also includes four new exterior color options -- burgundy velvet tinted clearcoat, cinnamon glaze, platinum dune tricoat and blue metallic. It will also get five new wheel choices. Its technology features include adaptive cruise control with brake support; blind spot information system; cross-traffic alert; lane-keep system; auto high-beams and rain-sensing wipers. Ford introduced the Explorer in 1990 as a 1991 model year vehicle. The automaker unveiled the freshened utility ahead of the New York auto show. It will arrive at dealerships in the fall. It will be built at the company’s Chicago Assembly Plant. The freshening comes as Ford adds five new nameplates to its SUV lineup by 2020. They include the compact EcoSport, announced late last year. Ford of Canada says the EcoSport will go on sale in Canada in early 2018.